At this website, professional addictions counselor Jerry Dorsman offers useful information on drug and alcohol addictions as well as support for individuals who want to break those addictions. Jerry has worked in the field of mental health and substance addiction for more than 35 years and is a leading authority on alternative approaches to addiction treatment. 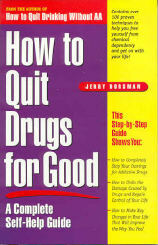 He is the author of two books: How to Quit Drinking Without AA and How to Quit Drugs for Good. 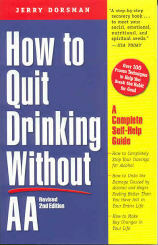 His quit-drinking book now has more than 125,000 copies in print. 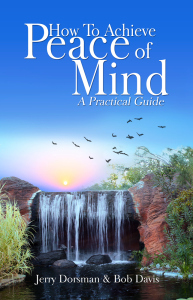 In addition, Jerry is the coauthor of How to Achieve Peace of Mind, a practical self-help book presenting more than 100 proven methods for reducing stress. He also coauthored Live Longer while Feeling Younger, a book offering techniques for improving longevity. When first published, this book became a *recovery bestseller. * The 2nd edition published by Penguin Random House currently sells in bookstores in the U.S. and Canada as well as online. It’s now available for as low as $6.19 at Amazon.com. 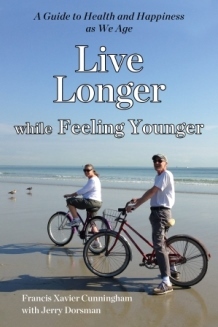 For those with “Kindle Unlimited,” act now for your free Kindle Edition of Live Longer while Feeling Younger. See the listing here at Amazon.com. To learn more about this book, click here for the blog post.